When Victoria Sisk was an undergraduate student at Case Western Reserve University in 2015, she watched Stanford psychologist Carol Dweck deliver an online TED Talk about the power of having a “growth mindset,” a theory Dweck developed. Dweck’s theory is that academic talent isn’t a fixed trait but rather a skill students can develop through hard work and perseverance. Convincing students that this is true in a relatively brief session can make a long-term difference, Dweck says. What started out as Sisk’s senior thesis eventually mushroomed into a gigantic research project to analyze all the rigorous studies she could find on growth mindset, which many educational consultants have embraced and sold as programs to schools. Two Case Western professors joined Sisk, along with two other researchers, and what they found three years later were mixed results. Among 29 studies tracking more than 57,000 students, some showed large academic gains. Others showed zero, or even negative academic results compared to students who didn’t receive growth mindset training. Overall, when the researchers combined all the studies, students’ grades or test scores tended to rise by a “tiny” amount after participating in a mindset program to persuade them that intelligence can grow. The grades and tests scores of students from low-income households improved more than four times as much as for the average student overall but the researchers still characterized this as a “small-to-medium” benefit to academic performance. They cautioned that this larger academic gain was based on very few studies that reported the socioeconomic status of students. The Macnamara-Sisk team argue that schools and policymakers shouldn’t expect to see large gains from mindset programs and should consider investing taxpayer money in other solutions. Costs vary. One company advertises an online mindset curriculum for as little as $20 per student but fees rise as schools add materials, workshops and teacher training. Asked about the new study, Dweck said her main concern was that the student gains that the Case Western researchers characterized as “small” or “tiny” are meaningful. A glass that’s nearly empty to them is partly full to Dweck. This academic debate is about how to judge and characterize effect sizes — an abstract unit of standard deviations that statisticians use to compare different measurements with each other so that they can compare apples to apples. The Case Western researchers arrived at an overall effect size of 0.08 and called it tiny. Indeed, I learned in graduate school that anything under 0.1 was trivial. But as a journalist who covers education research, it’s rare to see large effect sizes of greater than 0.5 in the real world, outside a lab. The educational benefits of an expensive class-size reduction effort in Tennessee were roughly 0.2 — an effect size that many have hailed as a success. 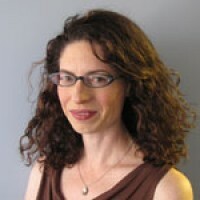 Susan Dynarski, a prominent educational economist at the University of Michigan, says that judging effect sizes depends on cost: “0.1 is big if the intervention [costs] little, small if very expensive,” she wrote me by email. In that context, the 0.08 for growth mindset doesn’t look so miserable. And the 0.34 effect that the researchers found for low-income students looks strong. There may be some clues in the next couple years. The federal government is funding a $3.5 million study of 2,400 middle schoolers in California and New York to see if an online mindset program improves their academic performance but results won’t be known for another year or two. Dweck is involved in large, national study of 20,000 high schoolers, where she hopes to learn more about which students benefit most. The Case Western team is correct that a lot of money has been spent by both the federal government and education foundations on research to boost mindsets and the results have been inconsistent. It can be tempting to read this study and dismiss growth mindset as more hype than real. But the history of education reform is marked by the always elusive search for a silver bullet, a solution that works for all kids. In fact, there is no such thing. Growth mindset could turn out to be one of many tools that can help kids, along with well-trained teachers, safe schools, well-fed students, great curricula…the list goes on and on. We don’t necessarily need to discard it. We just need to put it in context and use it to help the kids for whom it seems to work once we figure out who those kids are. 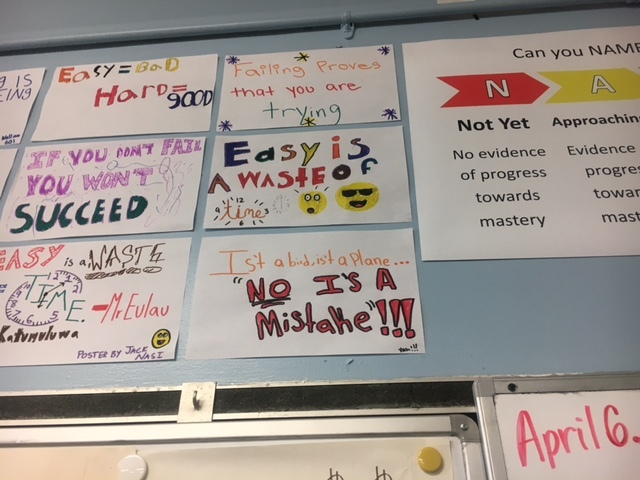 This story about growth mindset was written by Jill Barshay and produced by The Hechinger Report, a nonprofit, independent news organization focused on inequality and innovation in education. 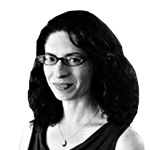 Sign up for the Hechinger newsletter.